I’m very pleased to say that I have been selected to take part in the inaugural Cofilmic Comedy Lab. The scheme is for established comedy writers (apparently I count as established) that want to write comedy feature films. I’ll now be joining nine other writers, who were selected from submitted bios, writing samples and a feature film idea, in Manchester over the next couple of months to be mentored by a crack team of film and comedy industry figures to develop my comedy film idea. Paul is an exceptional screenwriter who, in collaboration with director Shane Meadows, made an extraordinary trilogy of films: Twenty Four Seven, A Room for Romeo Brass and Once Upon a Time in the Midlands. Since then Paul has written Heartlands and directed Streetlife, and Barney Has The Blues. Other writing credits include My Father the Liar, and Tube Tales directed by Bob Hoskins, Dead Man’s Shoes and a children’s cartoon series, Sheep. He wrote Somers Town, his fifth collaboration with Shane and has directed a number of commercials and music videos. He is currently developing scripts with Warp films, a book adaptation called Numbers and working on other projects in TV and film. The first session is this Saturday where we will be joined by Steve Oram and Alice Lowe, the stars and writers of Sightseers, and Charlie Hanson, producer of Extras, Whites, Garth Marenghi’s Darkplace, Life’s Too Short, Cemetry Junction and more. 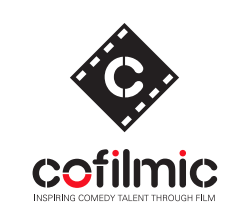 Creative England is financing the COFILMIC Comedy Lab as part of their commitment to developing new voices for comedy feature films. This is a fantastic opportunity and those with the strongest ideas will be tracked by Creative England, with the possibility of further funding to take your ideas to the next level as part of the upcoming Talent Centres in Autumn 2013. We’ll have our first bit of animation on terrestrial TV this Wednesday (6th March, 10.30pm)! Anna & Katy is a new sketch show by Anna Crilly and Katy Wix. It was directed by Ed Bye and produced by Jon Petrie. We created some fake interstitial adverts to go at the start of a soap called The Lane. They’re only small but we’re pleased with how they slot in with the rest of the show. A few months ago we went to a screening of the first two episodes and as expected the show’s fantastic. The Guardian’s already tipping Anna & Katy as the next Vic & Bob. It’s really exciting at the moment to see a new wave of comedians, performers, writers and producers that are coming to TV and doing their job properly. To get you in the mood watch Anna & Katy’s 2011 Comedy Lab episode HERE! A few months ago we teamed up with Steven Spencer (aka Nice Monster) for a series of ‘How To…’ videos he was commissioned to do by First Light Movies. 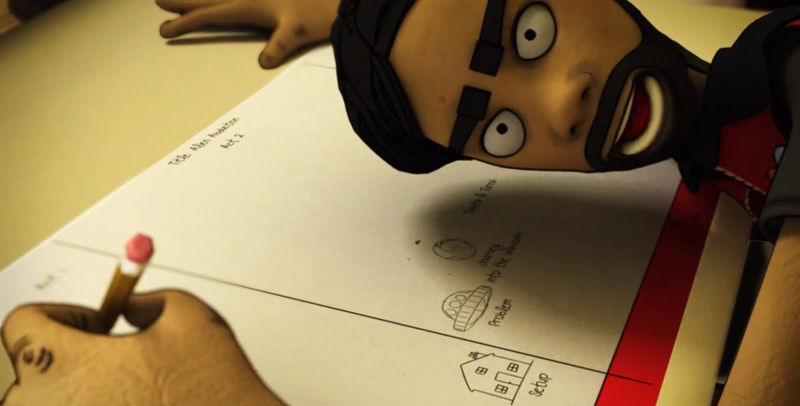 Ian did his magic on the scripts and I designed and animated the 2D doodle animations. BAFTA and Childline also decided to feature the videos as a resource for their CREATE And MAKE Competition… which is nice.